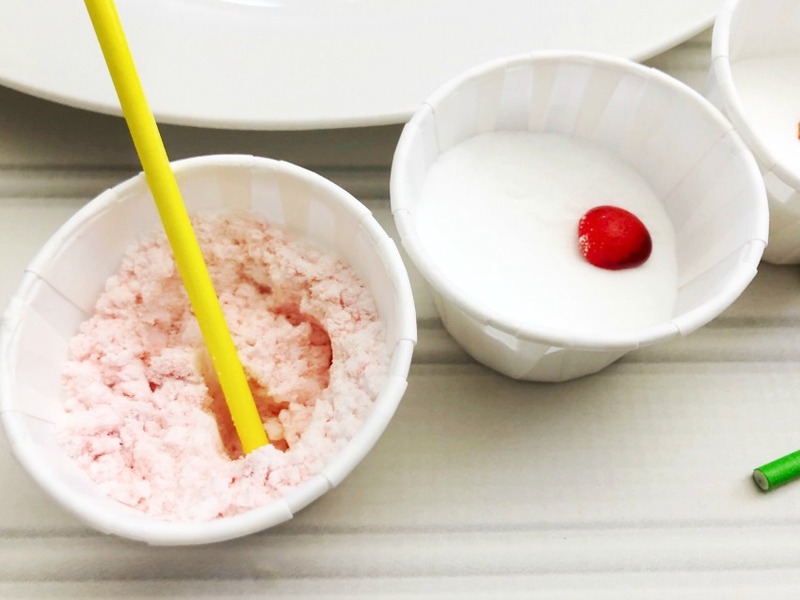 It is always great when kids can have fun while learning at the same time. It takes the boring away from the process and grabs their attention. 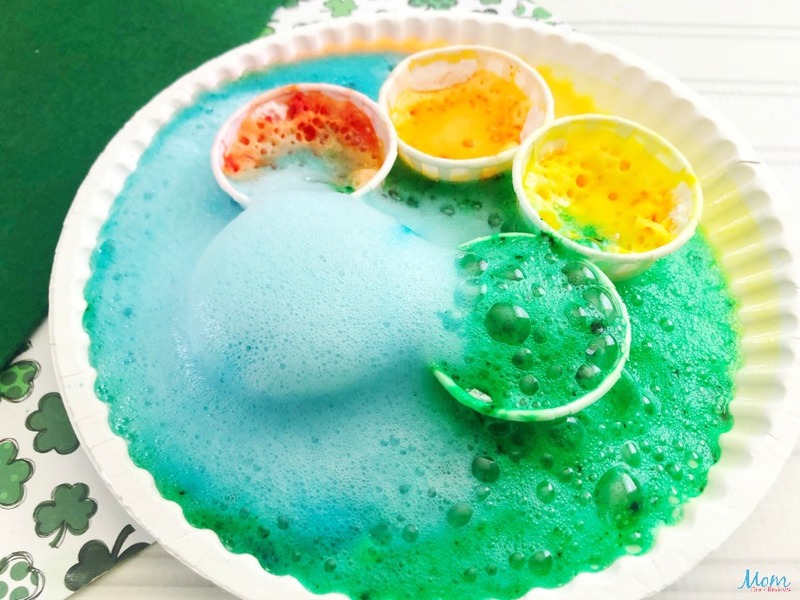 This simple and easy Rainbow Science Experiment will have them fascinated! 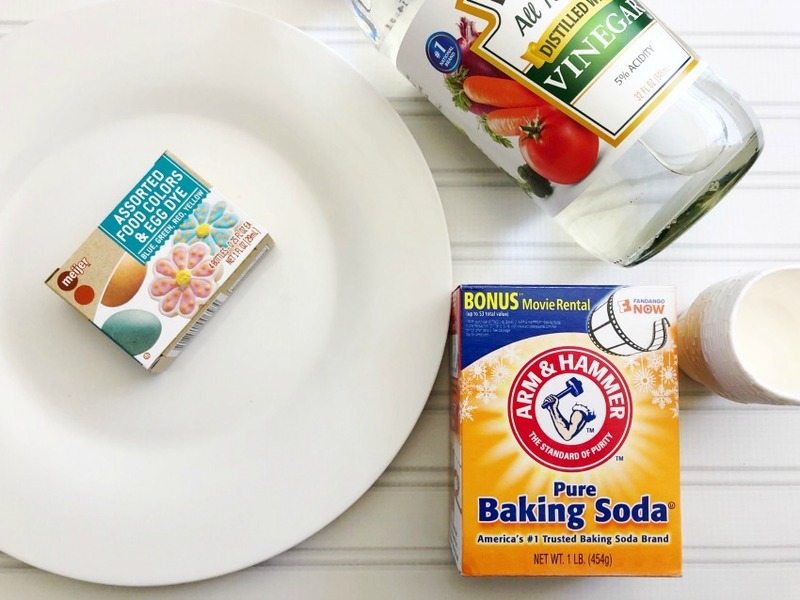 While we know it is a simple chemical reaction between the baking soda and vinegar, they will be watching in awe. And, who knows? Perhaps it will spark further interest in chemistry for the future! 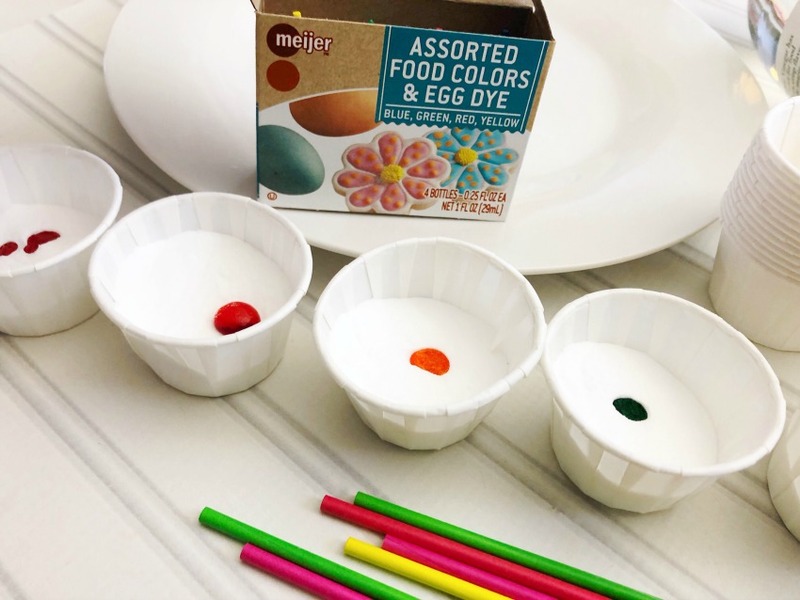 For young learners, it also a fun way to teach the colors of the rainbow! 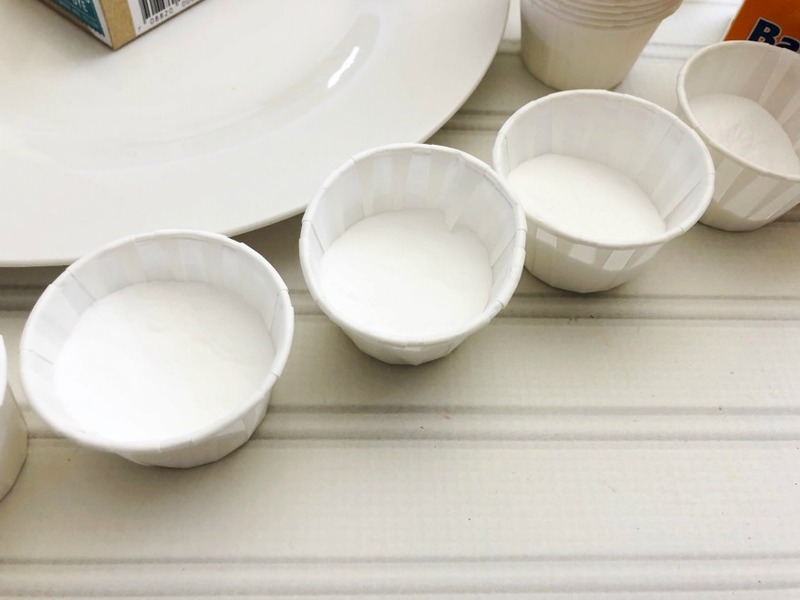 Fill each paper cup up 3/4 way with baking soda. 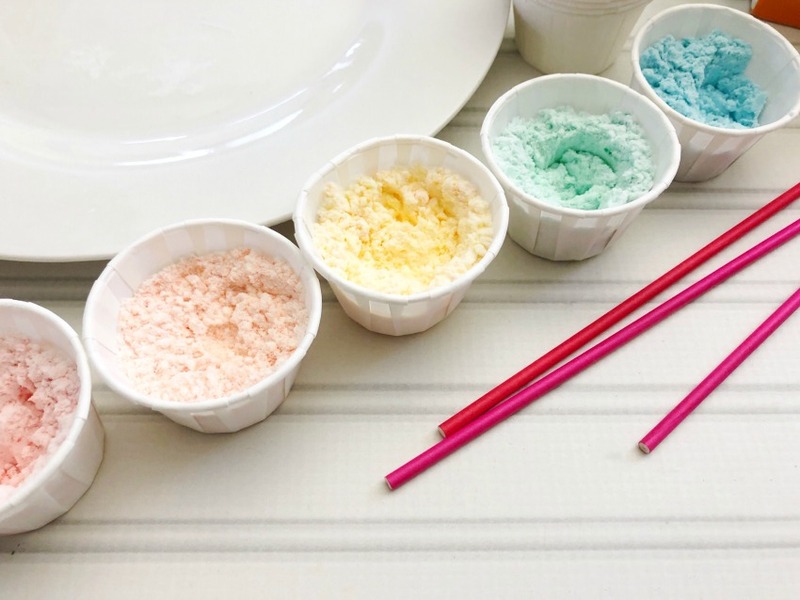 Mix a few drops of a different color food coloring in a rainbow pattern in each cup of baking soda. 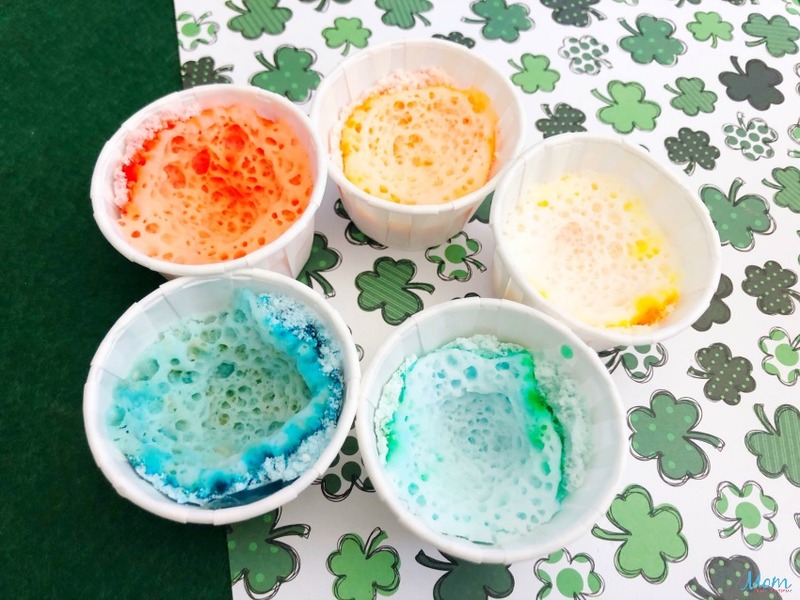 Line up the cups in a row and pour vinegar in a line down the row of colored baking soda and watch the rain erupt.